Dr. Marc A. Bard is the Needham-based managing director for Navigant Consulting and chief innovation officer for its national health care practice. 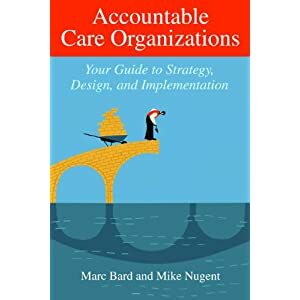 A physician who practiced internal medicine for 18 years at Harvard Community Health Plan, one of the early health maintenance organizations, Bard, 65, is author, with Navigant colleague Michael Nugent, of the new book, Accountable Care Organizations: Your Guide to Strategy, Design, and Implementation. Read more about the author and his new book here. Read more from strategy + business here. A new book reveals how former Cleveland Clinic CEO Floyd Loop, M.D., led a turnaround at the renowned but struggling organization. Read more here. The void created by the failure to communicate is soon filled with poison, drivel, and misrepresentation. All relationships, families, teams and organizations have problems. The difference between good organizations and the best is not how many problems they have. The difference is how respectfully and rapidly they get problems solved. People's ability to confront emotionally and politically risky topics (crucial conversations) with each other is the #1 predictor of rapid problem-solving. If you want to become unstuck and improve your results and relationships, you need to improve your ability to deal with crucial conversations. When faced with crucial conversations, you have only three options – avoid them, deal with them badly, or deal with them well. With its cover graced by the image of a presumably hungry shark, Strategy Bites Back is actually a friendly collection of essays and observations on some of the elements of strategy that intimidate people the most. Coinstar, the Bellevue, Wash.-based company that puts change-counting machines in groceries and discount stores, figured out a "marketbusting" move, according to Ian MacMillan and Rita Gunther McGrath. The company took something that had been an annoyance for both banks and consumers -- counting and handling spare change -- and turned it into a profitable business. "Coinstar has all the earmarks of a classic strategic move," McGrath says. "It identified an unmet need that was pervasive. And it created a focused solution. It does one thing and does it well." MacMillan and McGrath's new book, Marketbusters: 40 Strategic Moves that Drive Exceptional Business Growth, is intended to help managers identify similar high-impact opportunities within their own companies and industries. Each company doesn't need 40 marketbusters, the authors add. Just one could be enough. To read the full story from Wharton, click here.